Srinagar: Jama’at-e-Islami Jammu and Kashmir on Tuesday termed the attempts of tinkering with Article 35-A as ‘unacceptable’ and pledged complete support to peaceful protest program issued by the Joint Resistant Leadership (JRL). Jama’at spokesperson Advocate Zahid Ali, in a statement said that any attempt of tinkering with Article 35A, which provides special status to the state of Jammu and Kashmir, is unacceptable and all vicious designs by anti-state forces will be foiled. “Anti-Kashmir forces are leaving no stone unturned to erode special status of state and by every passing day such spiteful and communal elements are trying to use their influence aimed to change the demographical character of Jammu and Kashmir. These fascist forces should know every anti-Kashmir agenda will be defeated by Kashmiris collectively,” Ali said. He further added, the resistance by Kashmiris for safeguarding and protecting the special status of Jammu and Kashmir is impossible to be defeated and every attempt of fiddling it will be resisted tooth and nail. “Jama’at at this juncture pledges its full support to Joint Resistance Leadership (JRL) for protection of state’s special position and terms it ‘rightful’,” he said in the statement. 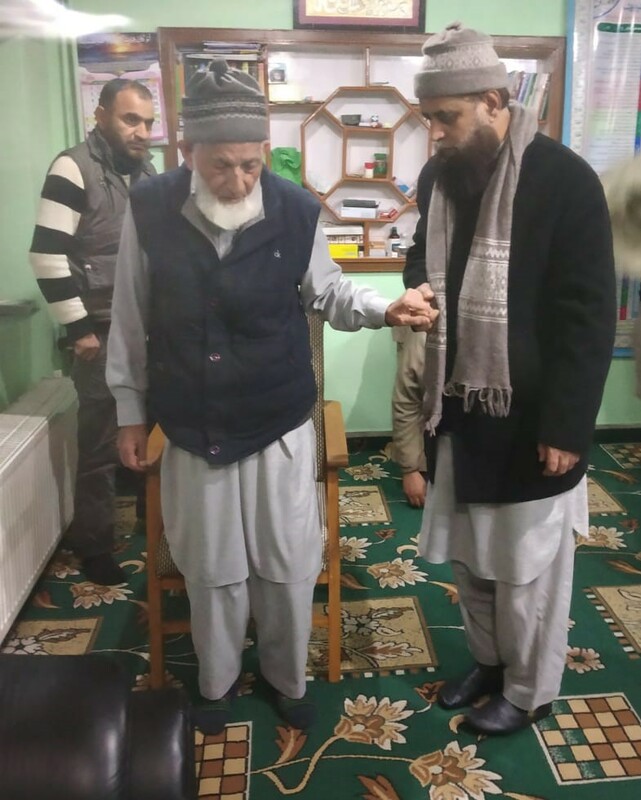 Meanwhile, a condolence meet was held at Jama’at headquarters Batamaloo which was presided over by Ameer Jama’at Dr Abdul Hameed Fayaz wherein deep grief and sorrow was expressed on the sad demise of Grand Mufti Bashir-ud-din Ahmad Farooqi. The statement said that Ameer Jama’at also visited the bereaved family and expressed sympathy with them.